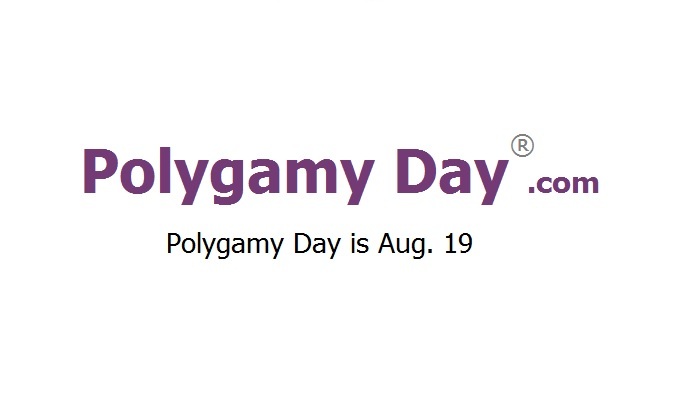 On Sunday, August 19, 2001, a group of fellow pro-polygamists participated together via a number of means at a gathering in Old Orchard Beach, Maine, USA; they all mutually agreed to a declaration that from that day forward, the date of August 19, in each year forward, would be the official and trademark day of "Polygamy Day ®". Hence, that day was "Polygamy Day ® 1", conveniently dated in the year 2001! From this auspicious beginning, it was agreed that a new non-profit corporation would have to be formed over the subsequent year, with a culmination to be around the following year's "Polygamy Day ®" in 2002. And that's exactly what happened by the next year, August 19, 2002!